and your good neighbors to the North had to wait another 22 years. I caught a Pilger once on a live shrimp. But it was short. I threw it back to get bigger. Well, it's the first day of May tomorrow and I heard on the weather report tonight that Hitchcock County in southwest NEBRASKA is under a BLIZZARD WARNING! They are expecting over 14" of snow and high winds along with it, but up here in the northeast corner of the state, we should only be getting 1" to 6." It will be sunny & 70 degrees on Tuesday, so like I've mentioned before, IT'S NOT TOO BAD! Heck, we were just beginning to find the first nice morels last week. Might have to get the snowblower out to find them this week. This brand new video from NEBRASKA GAME &. PARKS shows some living history reenactors at Fort Atkinson......just about 90 miles south of me. Some of you may remember me yammering about it in previous threads. Good one MM. Too thin to plow and too thick to drink. Yeah, it's definitely been the monsoon season here in Nebraska this May.....it's been raining every day for the past couple of weeks. This is normally the time of year when we get our most rainfall, but not usually this much at one stretch. According to the prognosticators, we were somewhat below 'normal' for soil moisture before this all started, but as you can see in Tony's video, that is no longer the case. If you get lemons, it's time to make lemonade. I hope you guys get dried out. Oh, that'll happen alright.....usually by mid-July, when we need it most, you couldn't buy a drop. You probably saw that center-pivot irrigation system on standby in your video.....they get a workout during those dry times! One (of many) subject of American history that was sadly covered in my education was the Dust Bowl. I was well into adulthood when I actually dug for the whole story. I felt shorted that it was not better covered. A really good book on the people and 'heart-of-the-dust-bowl' areas in the panhandles of Texas & Oklahoma, Kansas, Nebraska and southeastern Colorado is entitled THE WORST HARD TIME by Timothy Egan. If you'd like to read what it was like for the people that stayed in it for the duration, rather than hitting Route 66 for picking jobs in California. It made THE GRAPES OF WRATH look like a family vacation by comparison. Thanks. I'll put it on my list. Great book, really put a face on what depression and the dust bowl years were like. we saw our 1st dust devil this year near plattsmouth, this weekend, right after crossing bridge on 34 from iowa. very cool. otherwise, very green here and skeeter-central. Wolfy i have that book a very good read, also read (night came to the farms of the great plains).by Raymond d north and the dirty thirties by william H hull. 80's in machinicsville,iowa. univ of iowa press. pray we never see those days again. Me too, but we've got a good start on it again this year......we're way behind on precip for the month of June. This is the month when we usually get the most of our moisture for crop production, but so far we have had ZERO rainfall.....over 3" below average, now. To top it all off, it has been in the mid 90s with winds of 20-30 mph for the last week and a half.....good hay crop and excellent drying conditions for getting it put up, but the corn REALLY needs a drink. The corn plants were taking protection and rolling this afternoon....not good, this early in the year. 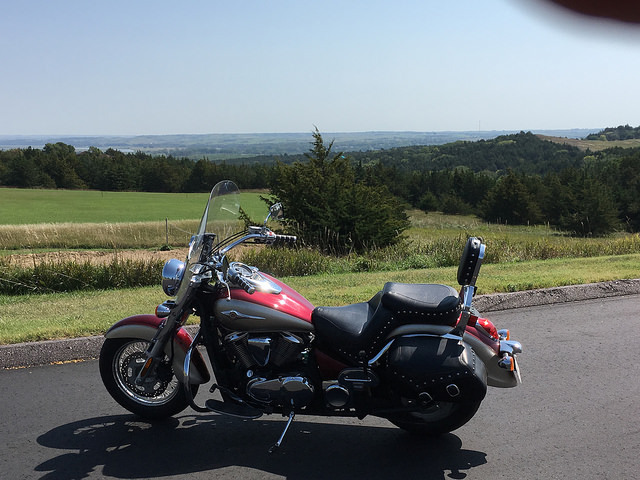 Wolfy, I am going to be driving right through Dawes County in October. I'll be on my way to Douglas Wyoming for a long planned hunting trip. I envy you......not only for the hunting trip, but for the opportunity to visit The Museum Of The Fur Trade on the eastern edge of Chadron. PLEASE, make an effort to see it....you will be amazed at the quality & variety of items in the collection! World acclaimed and WOLFY APPROVED! We have fun little game going on in Nebraska. 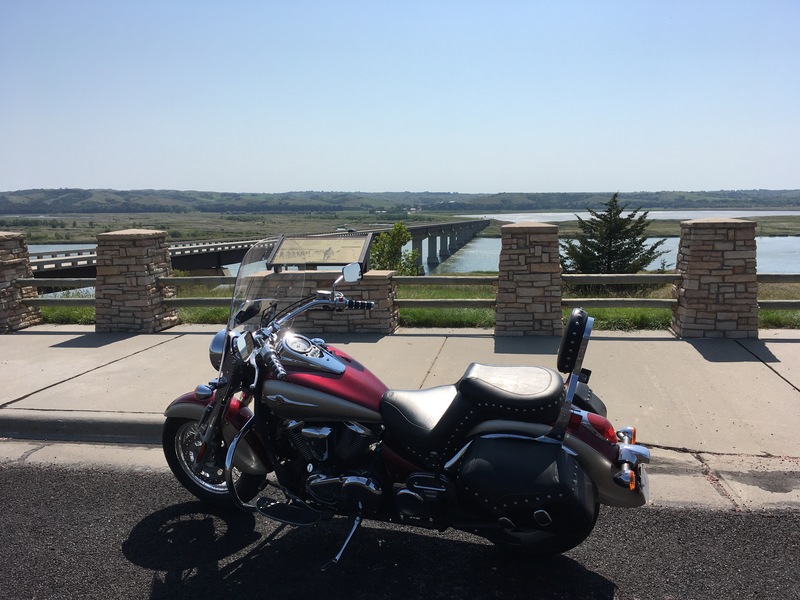 You go around and visit sites with a nebraska connection, getting your "passport " stamped at each one. The wife and I have been to 6 of the closest ones & plain to do more next week. Do any other states do this? Speaking of games we also do this. I haven't competed in years. I used to do some of the bike races. Not to leave anyone out. wow there really is stuff in nebraska, gosh i thought it was all wheat beans corn and pickups. NEBRASKA is one of the very best spots in the nation for viewing the total eclipse of the sun on August 21st. It will be best for viewing in a band that runs diagonally across the state from NW to SE. We have a clean atmosphere and few, if any lights or obstructions to interfere with your best photographic efforts.....not easy to come by in most areas of the country, but the grass-covered dunes of the Sandhills region will be primo! Come one, come all, to NEBRASKA for a once-in-a-lifetime opportunity that will not occur again until 2048 or 2075.....I don't have the luxury of waiting that long, so this is IT for me. Scroll down for lots of info........NOT TOO BAD! I always liked Paul Harvey's radio tribute to the farmer......reminds me a lot of my dad. This is a REALLY cool website with some great videos and pictures of NEBRASKA. If you only view one of the videos make sure it's 'Nebraska Beautiful!' I think you'll agree that it's not too bad! Watched the one you suggested. Really well done. In my days I have bird and game hunted from Oklahoma north to North Dakota and hit Montana, Wyoming, and all of that country in any of the States of the Great Plains is wonderful. The ranchers and farmers we encounter have all been great people. Small towns throughout the region all have a cafe or store where the locals congregate and when you walk into one of them there is a moment of silence, conversation stops, and they look you over, smile, and go back to talking. Ask them a question and they will talk to you about everything. All of America should be like rural areas of our country. I watched "Nebraska Beautiful". Great. Kelly keeps hinting at a pull behind with pull-outs and a cross-country trip. We'll be retired so I guess we'll just hobo around for awhile. Those cowboys in the vid took me back. Lotsa time on horses. I had my own saddles. My own boots. My own hat. But I never had a pair of six shooters and a pair of chaps. They just got put back on my life list. Here are two short videos worth watching. They were made by a man I work with. He and his wife are here from Japan and like traveling around Nebraska taking photos. He is doing a fine job capturing our state. Nice videos. The second one is really neat. Good music too, at least IMO. Thanks for adding those vids, lgm. Heather & I have been to that museum and there is an actual Kregel Eli windmill about 9 miles from me at the entrance to the Jackson landfill. The landfill's owner, Leonard Gill, is a windmill freak of the first magnitude. He has around 20-25 of the early mills set up along Highway 20 near Willis, NEBRASKA with signs by each one telling their origins and history. Many of them are restored originals and some are custom-builds he had made from original factory blueprints.....he must have invested a small fortune in them. Thank heaven for nutcases! Yes a good nutcase is a thing to behold. Here is one more you will like. Painted ladies are invading Nebraska in huge numbers this year! 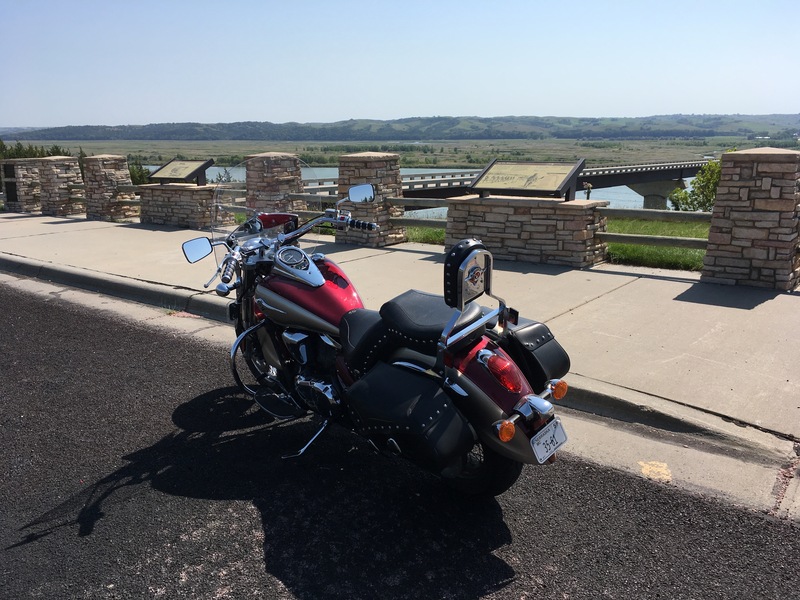 I took a 190 mile motorcycle ride upriver to Niobrara State Park yesterday and I could barely see through the windshield when I got home. Whooooooopeeeeeee! You been having some serious fun. 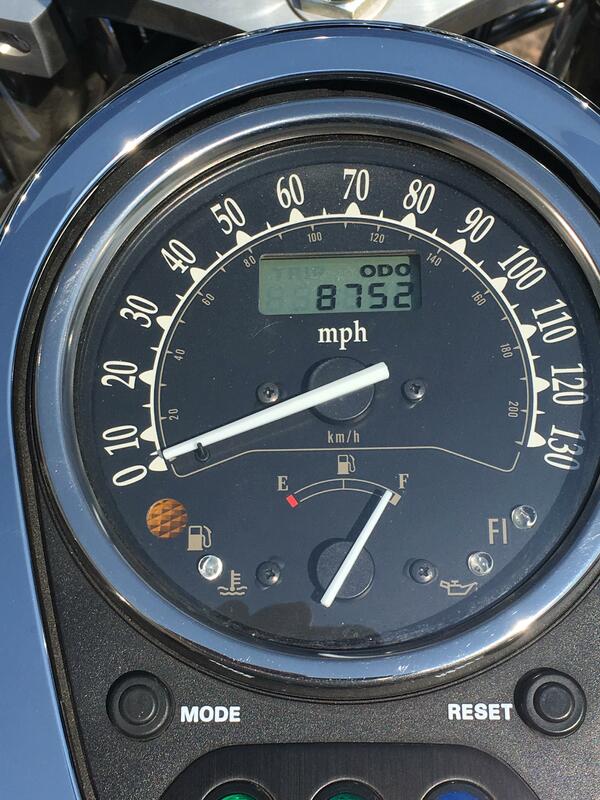 In my case I have only logged about 1000 miles this summer and most of that was in July and early August. Glad to see you getting in a lot of trips. 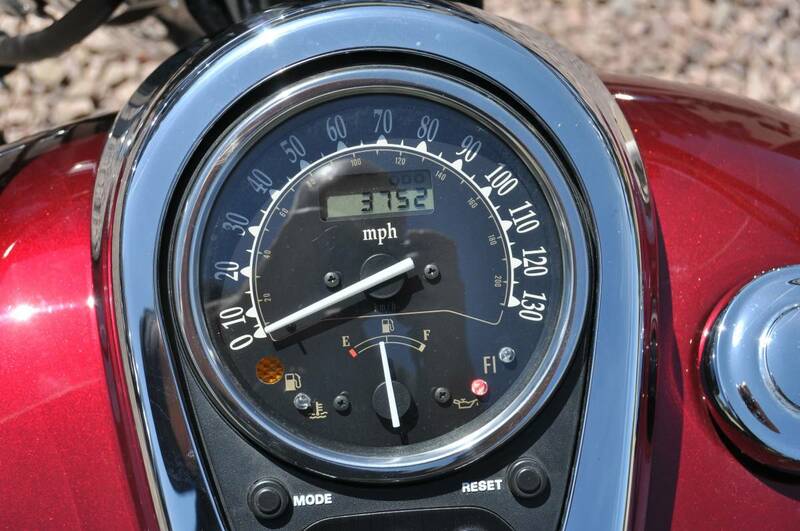 Just rolled over a 5 digit number on the Vulcan on October 19th.....6,248 miles in exactly 5 months. 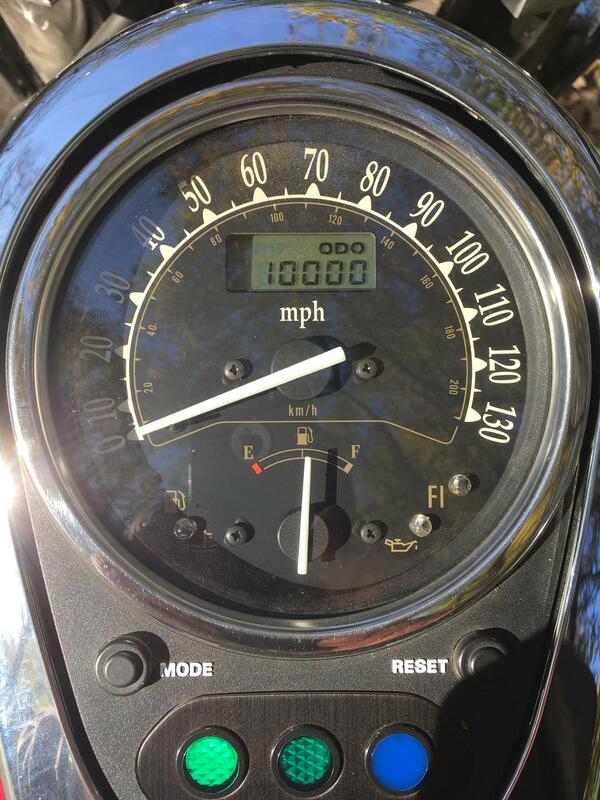 Congratulations Wolfy, lots of fun in those miles. This was in the news today. Enough fentanyl, $20,000,000 worth and enough to KILL 26,000,000 people was found in a truck that was driving on the shoulder of I-80 today. You would not believe how many BIG drug busts occur on the Nebraska portion of I-80 each week! and spent a couple hours looking through the site. A lot of really interesting information. There are a couple letters from around 1873, written by a young mother and settler writing to family back home. Great first person experiences from someone that was actually there and living the life. Really makes you appreciate what we have today. Interesting. Long was in Colorado the next summer, I presume on the same expedition that wintered near Fort Lisa. He was sent by President Monroe to explore the southwestern boundary of the Louisiana Purchase. Long's party came up the South Platte River which would have been south of this winter encampment. In Colorado, Long's Peak named for him. Dr. Edwin James, the historian of Long's expedition, lead the first recorded ascent of Pike's Peak. A couple of links to the Engineers Cantonment. This link discuss two kinds of shrews found at the site of the cantonment. This one has some data on the cantonment, The Spring 2018 magazine by the Nebraska Historical Society had a watercolor by the expedition artist and had articles on the site. Good reads & artwork, gentlemen......Than k you, both! A nice piece of land there from the closing aerial photos. The sandhills all the way into far western Nebraska are probably still full of un-excavated sites. Here is a link to a bit more about who these Apache people were along with a mention of the Navajo. I have been at these kind of sites in southeastern Colorado and looked at the excavations the professionals made near springs, overhanging shelters, and rock quarries where the natives obtained tool stone. In our stick of the woods, west of us a bit, there is a rock area where fertility ceremonies were probably held given the petroglyphs on the walls. The archeology reports says they were Comanche and later people who were Woodland Cree. Two different occupations ending perhaps 500 years ago. This particular area was ruined as a archeological site by ranchers who collected artifacts and dug up areas without recording the findings but it is still a spectacular thing to see.